The Cruzer 6 Precision Trimmer by Braun is a handy little device to have if you like keeping your beard defined, groomed and not over-grown. It has 2 lengths of trimming guards (5mm & 8mm), and can be used without a guard. Using it without either guard will give you a great close shave, and it allows you to clean up your beard lines, neck lines and even get some sharp angles or designs to give you any style you desire. A video review of this Braun model is on it’s way, however we’ve gotten a great deal of information about this trimmer from actual owners/users and various sites across the web. This trimmer will do exactly what you want it to, where you want it. 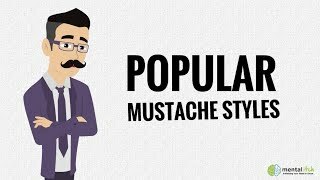 Trimming up an overgrown mustache, cleaning up sideburns between barber visits, and, if you need to, trimming away some unwanted stray body hair (between eye brows, knuckles, toes, etc). Just be sure to keep in mind that there are only 2 guard lengths. Don’t try to trim down your year-long beard to 5mm with this! That said, this little guy is a champ when it comes to cutting through tough stubble. It has a great battery life, and only takes one AAA which helps keep the running cost of it down. Not to mention the very reasonable purchase price. All in all, this trimmer is trustworthy, powerful, and will definitely get the job done. With plenty of run time through a single AAA battery, this trimmer will give you all you need in a small package. From trimming your stache to side burns, or eye brows to knuckles, it will take on all your small and precise tasks. Make sure to keep an eye on the battery life, even though it may last a long time, the power behind it may weaken. This can depend on the battery brand you use as well. If you notice it starting to pull while you trim, it’s probably time to change the battery. Pulling can only lead to bad things, like discomfort and unsightly skin irritation. When at full power, you should have no issues getting the job done. Even cleaning it is super easy! Just run it under water and turn it on to clean the moving blades. When it comes down to it, we would certainly recommend this trusty Braun precision trimmer for men with shorter beards, groomed mustaches, and those who need precise grooming or their style.